With Barigo’s collection of stylish barometers, thermometers, weather stations and more, you can be the weatherman! You’ll always know what the weather’s going to do…and if you’re ever wrong, you’ll only have yourself to blame. Barigo is the name weather-watchers everywhere love! Each of these astounding, hand-crafted pieces will look great in your home, and provide you with an accurate instrument with which to observe the weather. It makes a fantastic gift for any amateur meteorologist! 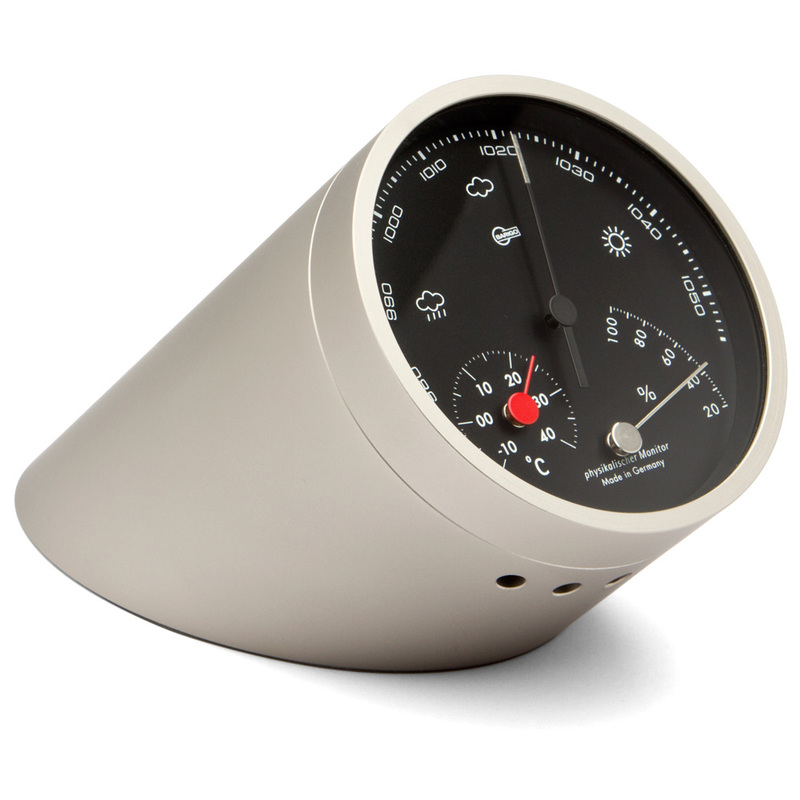 The weather always looks good with the Barigo Desk Weather Station. It has three dials to observe – a barometer, a thermometer and a hygrometer to measure humidity. With a sleek, modern look, this Weather Station will have you staying inside no matter what the weather! Includes a barometer, a thermometer and a hygrometer to measure barometric pressure, inside temperature and indoor humidity, respectively. The vented base underneath permits air to flow through. Presented in a Barigo gift box.